Plus, there are all the expressions and vocabulary you’ll likely need for tourism, socializing, simple conversations, everyday living and emergency situations. 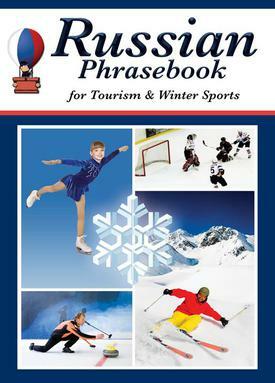 And you won’t find an easier phrasebook to use. No confusing categories: material is organized like in a dictionary, with phrases and terms grouped under the key word(s) that they contain. Russian equivalents of the English are given first in Cyrillic, then in their English phonetic form in blue font. Asterisks in front of key words simplify searches, preventing mass results for a given word. Book size equals more than 2300 Word document pages (with keyword groups spaced).